Golden Gate Bridge closure January 10, 2015 to January 12, 2015. Home » All lifestyle » Golden Gate Bridge closure January 10, 2015 to January 12, 2015. In 78 years the San Francisco’s Golden Gate Bridge has only been closed for more than a few hours a few times. It was closed in 1987 for the 50th Anniversary. The 52 hour closure for this weekend [Jan 10 – 12] will allow workers to install a new movable barrier for traffic lane control. In the past the plastic orange cones were moved by hand each day via the back of a truck. This changed the amount of lanes in the high commute traffic times north and south bound lanes to two on the one direction and four on the other. Occasionally one lane in one direction and 5 in the other. The Golden Gate bridge has been a large part of my life and my family’s life. Both sets of my Grandparents and many of my Aunts and Uncles and a few cousins watched the building of this important bridge. 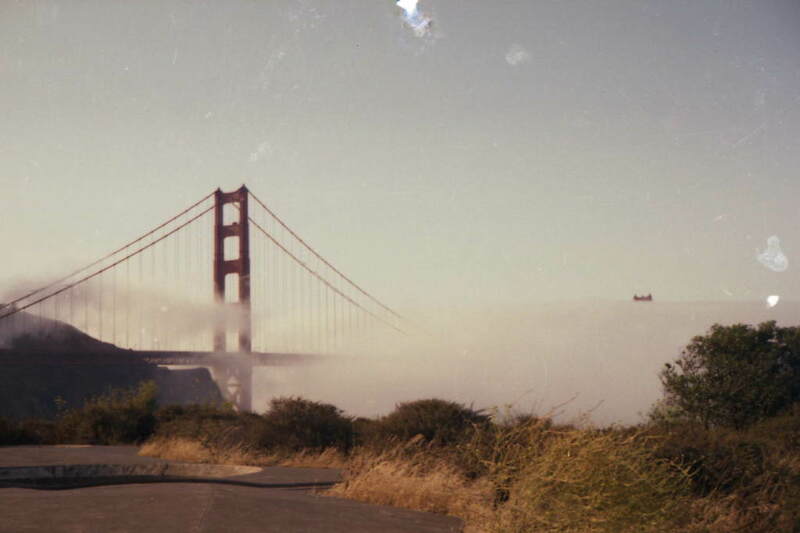 The first time I walked on the Golden Gate bridge and back I was actually 18 in 1968. It never occurred to me why I did not walk it sooner. The last time I walked on the bridge was in 1982. I have not walked it since. My first job was in San Francisco for the phone company. I took the bus sometimes, rode with my Dad other times who also had a job in the city. Other times I would drive my stick shift VW. With stop and go traffic at commute times it was a real pain with that VW that is why I got rides and took Golden Gate transit bus. I commuted from Marin county starting at 630 am for my 8:00 am job. The bus was nice in that you could relax from driving. I have been on the bridge when it was very windy. That is scary. 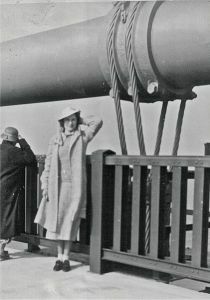 My Mom said that in 1937 at the opening there were so many people on the entire length of the bridge it was swaying. My father-in-law drove over the bridge the night before the opening! He had an old 1930‘s car and drove a friend who knew a worker and go through with that connection. He said it was eerie that the bridge was so empty compared to the next day when he walked across it with his friends. Some facts about the Golden Gate bridge can be found at Wikipedia. 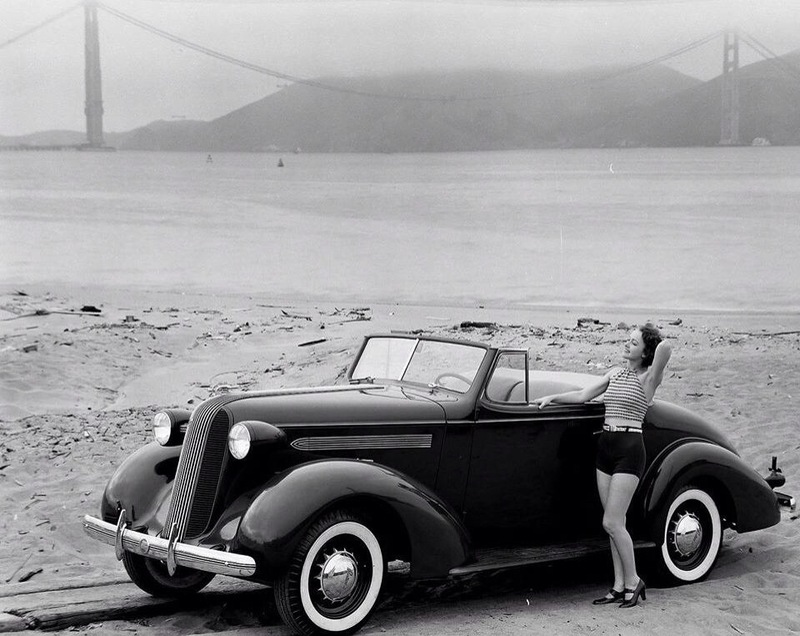 The start of the construction of the Golden Gate Bridge began January 5, 1933. The bridge opened May 27, 1937. All of my family who were alive at the time attended the opening ceremony and walked across the bridge and back. Until 1964 the Golden Gate bridge was the longest suspension bridge in the world. Total length of the Golden Gate Bridge is 8,981 feet (2,737 meters) equals 1.7009 miles. The Golden Gate Bridge’s height at 746 feet (227 meters) above the bay waters, were the world’s tallest on a suspension bridge until 1998. See some great photographs on this FaceBook page called San Francisco Bay Area Street Photography by local photographers. Sherry Ibidii enjoys crafting with Plastic Canvas and yarn to make all kinds of decorations and fun items for the home. Many of her craft articles feature detailed tutorials and lengthy instructions. This is what she loves to do, She is a teacher. She is also involved with Early American History, Family History and genealogy. Sherry is legally blind. I remember the ’87 closure. I was eight years old and lived just north of San Francisco in Sonoma. I remember that it deformed the bridge some, with too many people on it. Sherry, this was interesting. I have only been on the bridge twice in my life. You wouldn’t think it would be exciting to cross a bridge , but one packed with so much history… It was exciting! Thanks for sharing these stories about your family’s connection to the bridge! Thank you for your comment Monica! It is exciting every time I crossed the Golden Gate Bridge or any bridge like it. I cannot wait to cross the new San Francisco Oakland Bay Bridge which was newly finished. I am doing a story on that bridge as well.